Katsa lives in a world where gifted people are recognised by the two different colours of their eyes. These people are called Graced and they are both feared and exploited. 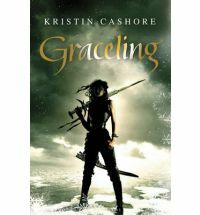 Katsa is one of the ‘graced’ but her’s is a graace she despises for her’s is a grace of killing. This gifting means she is feared and an outcast, she has very few friends. Katsa knows she is a tool for her king and does his will, sometimes with great reluctance. She is defiant in her own way when she can be and is thankful for the existence of the secret Council, and their backing. When on a secret rescue mission Katsa comes across a mystery she becomes determined to solve. 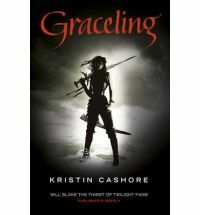 This takes her further than she thought and as she continues to dig deeper into the intrigue she uncovers a terrible darkness originating from the kingdom of the One-eyed King. Some things turn from being a mystery to solve to a battle to survive and save the life of a young girl in the process. Katsa does what she believes she must and in the process discovers her grace is not what she always thought it was and that maybe someone could love her for who she is. Cashore has penned a wonderful and detailed story. A technicolour world populated with amazing characters. The packaging surrounds an intriguing adventure woven through with a romance made all the more complicated by the situation the characters find themselves in. Katsa is a great character and is accompanied by other interesting and well developed companions. This story hooked me in and kept me reading eagerly till the last page. This is not always considered a YA novel, sectioned often in the SF section of a store but in the US it is marketed that way and certainly the age of Katsa means it fits there quite well. Jim Frayne has just inherited half a million dollars but he doesn’t know about the money because he has run away again, hoping to avoid his step-father. Trixie and Honey are off on his trail. They want to find him to tell him the good news and offer him a proper family. No matter that she already has one mystery to solve, Trixie has a way with just attracting more. She knows something isn’t right when they meet up with another family traveling in a luxury trailer like them, she just doesn’t know what. Then the daughter Jo goes missing and they find out the trailer The Robin, has been stolen. Trixie is determined to figure out what is really going on. Now Trixie and Honey are looking for two missing people, but it may not be as difficult as it seems. These books are, of course, a little dated but values and descriptions like that aside the stories hold up alright. The characters complement each other and balance the story out. Trixie and Honey are both passionate and fun, with Honey being the gentler personality toning Trixie’s wilder impulses. Jim brings a maturity to the group. 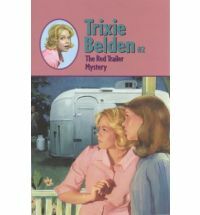 With so many things to figure out the Trixie Belden books were, and I think still are, fun adventure stories. Dru is back and really pissed. Graves is still missing and Dru is done with playing nice, listening and doing what she is told. She is sick of the lies, of being sheltered and of the fact no-one seems to know where Graves is or even really looking for him. Finally she is let out on a hunt as bait but when it goes wrong the Order decide it’s not wise to allow that again, she is too valuable to them. Thankfully the wulfen are around, and she has brief moments of freedom when they allow her to run with them. She hopes Graves won’t be too damaged by the time they find him, and holds on to the hope that the broken Ash can be restored. Even with Anna gone Dru can still be reached by her enemies in the Schola Prima and it is all starting to take a toll. When certain information comes her way she finds she has reached her limit. She heads out on her own terms, if the Order want her they will have to keep up. Is Dru strong enough to face Sergij, save Graves and survive? And will she ever bloom? 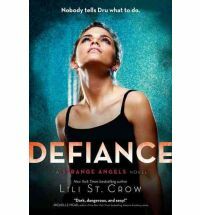 The lastest in the Strange Angels series and (spoiler alert) sadly Graves isn’t in most of it. However it must be said that other characters step up to the plate and nicely fill the gap. Dru’s relationships with the other wulfen are a nice counter to her strained relationships with the djamphir. Even though there is no Anna at the Schola there is still plenty of plotting and intrigue. The layers are well developed and the traitor is not instantly recognisable (or at least wasn’t to me). In some ways where the story has been left feels like a beginning and in some ways close to an end. All of which left me wondering where she is going to take it next. The only thing that bugged was the mention of a random character that sounded too familiar too me and jolted me right out of the story (a Cajun named Remy who throws cards). Dru is part of the real world, a place where monsters exist and will quite happily rip her to pieces. But when you are going to grow into something incredibly deadly to those monsters, their thinking makes perfect sense. Dru didn’t ask for any of this though She didn’t want to be taken to a reform Schola or then transferred to the Schola Prima – the central djamphir training facility and home to the Order. Graves and Christophe would like to take each other apart and balancing them and the other wulfen and djamphirs isn’t always that simple. Now Dru’s training also begins in earnest, which is good because 400 year old Sergej is hungry for her blood and won’t stop until it no longer pumps through her veins. To complicate matters even further Dru finally meets the other Svetocha, Anna. Anna is used to running things and having the Order at her beck and call. She doesn’t like to share and is more than a little annoyed at Dru. Dru doesn’t understand why but it becomes clear that it is because Dru has Christophe. At least Graves is still around and the werewulf attack he survived turned him into a loup-garou, a prince among the wulfen. The third book in the Strange Angels series and the intrigues just keep coming. This continues to be an engaging read, the characters and their interactions. I am partial to Dru’s drive and her desire to not sit back and wait for others to do for her, I also continue to like the relationship between Dru and Graves. There is plenty of action and loads of sly machinations. There are truths and half-truths. If you have enjoyed this series so far, this is a read that won’t let you down. This is the new Young Adult novel by Australian Sci-fi writer Marianne de Pierres. It is a dark dance through a world of pleasure, fun and no adults. There is more going on under the surface though and this book will take you on a wonderful journey but make sure you stick to the paths. Little Bear’s Mum is awesome. She can do so many things. She can roar and skate, do tricks and swim like a fish. She is also brave. The thing Little Bear thinks is best though is how she holds her cub tight. Little Bear wants to be just like Mummy Bear one day. 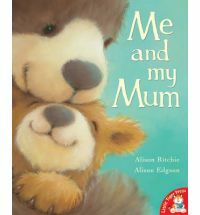 This is a charming and heartwarming story about the bond between mother and child. It reminds me of some of the things I’ve done with my girls and those precious moments we share when our children are young. The illustrations are beautiful, bringing warmth and softness to the story. A lovely book to share.